Diamond rings are always guaranteed to make a special gift for a loved one. A lovely gift is always needed for some special occasions like wedding, birthday, anniversaries. Diamond rings are considered the most expensive rings and true source of love and promise. It’s best suitable for some memorable occasions. Diamond rings got popularity in late eighties when high quality and expensive stones became part of fashion. Dazzling Diamond rings are available in various styles like one big diamond set in the centre with many small gemstones around it. These rings are available in a number of cuts. Most favored and brilliant cut is round cut diamond rings. Other cuts such as emerald, oval, pear, heart, princess, baguette, cushion, trillion and marquise are also popular. Princess cut diamond engagement rings are more popular because of their softness and appeal. Couples often exchange diamond wedding rings when they become engaged. But also some other occasions like social achievements, birthday parties makes the diamond ring a perfect gift. So consider giving one of these dazzling diamond rings for your loved one. Diamonds may be a girl’s best friend, but men welcome them, too. 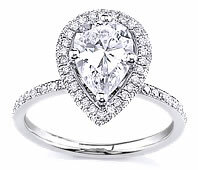 Make sure you turn to dazzling diamond rings when it’s time for you to memorialize such an unusual occasion.